The Girls Little Lyndon Fleece Gilet is a children's fleece gilet which mirrors the same beautiful crafting of the ever popular Ladies Lyndon Gilet. 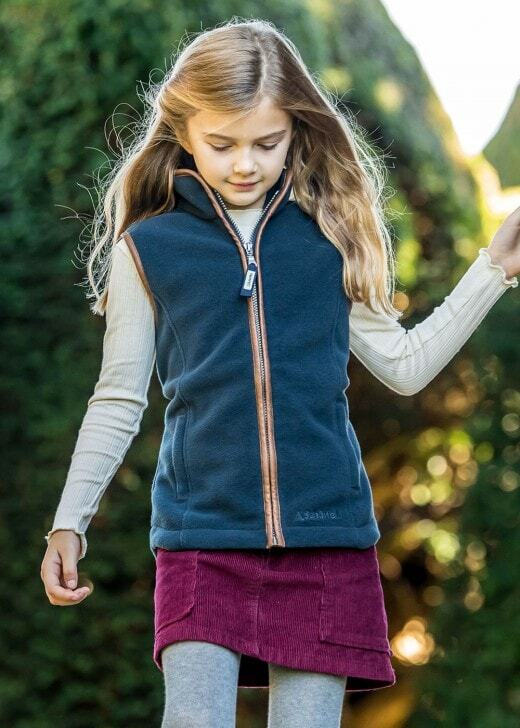 The Girls Little Lyndon Fleece Gilet is a children's fleece gilet which mirrors the same beautiful crafting of the ever popular Ladies Lyndon Gilet. Lightweight and comfortable, this gilet is great for layering up during colder weather and can be worn under a waterproof jacket or over a dress or jumper.